In the interest of being honest and reviewing the product for us. 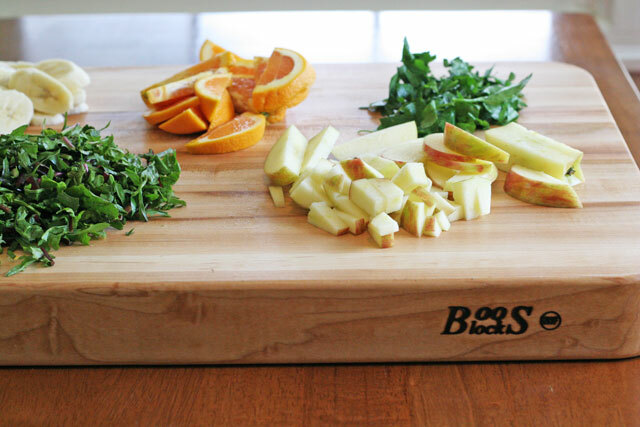 I have always wanted this cutting board, this exact one. Always, always, always. 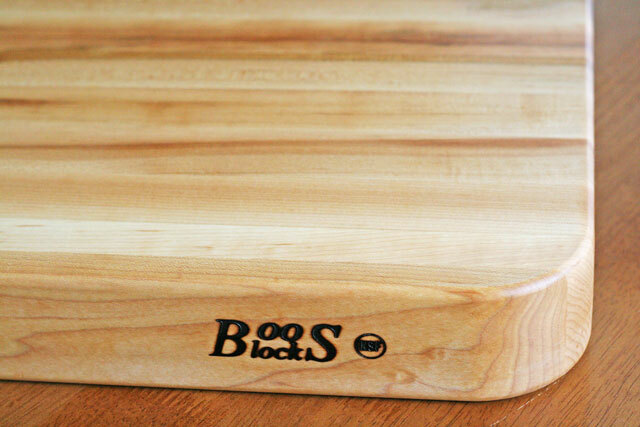 When I began the blog, working with the John Boos & Co was on the top of my list. So there is my bias, no big deal. I am just a happy girl with my dreams coming true, that’s all. In the interest of this board and my dreams, it did not let me down one bit. I received this board over two months ago, and wanted to give it a run for it’s money so that the review could be complete and concise. To be honest, I could have written it within a couple of weeks of using it. I knew this would happen, but I marched on using it for many tasks seeing how I could push it’s limits. I chose the 24″x 18″x 2-1/4″ with Groove, Reverse Side Flat, Grips, and Pour Spout simply because I would use all of the features in has for many years to come. That is the board I am giving away! The Groove, Hand Grip, and Pour Spout: The thought of the pour spout to use every part of the animal came to mind. Once I have roasted a chicken, or cut a roast, the juice from the meat conveniently runs into the groove, providing me with an easy way to pour the juices into a bowl or straight into the pan to make a sauce. I have used this feature many times. It does make this task much easier. Although the board is very heavy, by my choice, the pour spout works smoothly and easily without splatter issues, which is always a concern. Obviously the hand grips plays a large part in the use of this feature. The grips are deep enough to place my hands in to turn the board over, but also easy use for pouring the juices. I could see if you have ginormous hands for the grip to be too small, but still manageable. This is quite the feature. 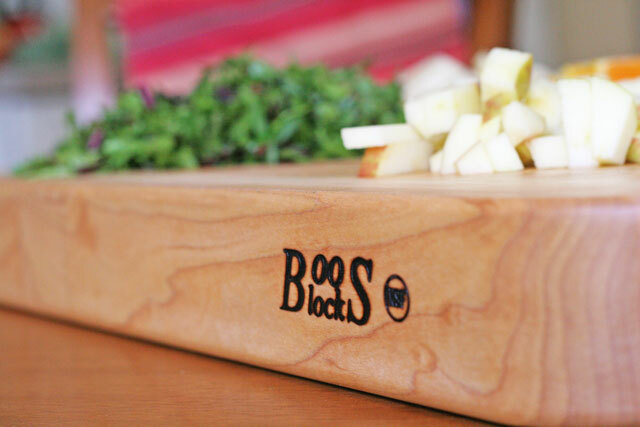 The grain of a cutting board is the most important part when it comes to knife use and ease of cutting without damaging the knife edge. I am a fan of wood grain boards, not so much plastic. I cut everything on wood grain period. The edge grain allows the knife to run smoothly back and forth while chopping. If there is any “catching” on the knife, I can tell. You would get that from and in grain cheaply made board. Even with my old knives, in the interest of having them last a long time, the grain needs to run smoothly. It is imperative to me. It did the job, and quite nicely. Over the last two months, I don’t feel it has dulled my knife in the least bit. This is a heavy board, with two usable sides. I got to choose it, so it was the right choice for me. I have it sitting on the counter, which is a nice addition, and beautiful, creates much envy by visitors. Many have threatened to take it with them, which says it all really. 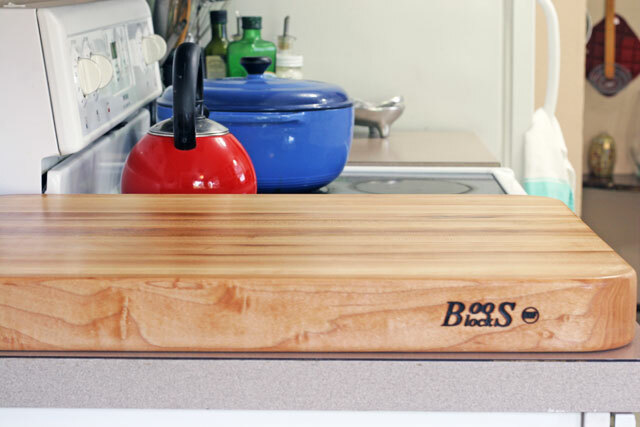 My short take away… If you plan on storing your cutting board, get a smaller, less heavy choice. If you plan on leaving it on the counter with regular use, this is a great choice. I would buy the edge grain over and over. The particular features of the pour spout and groove serve the purpose I need in my kitchen. So if you cook a lot of roasts, various meats that need slicing before or after cooking, go with one with those features. 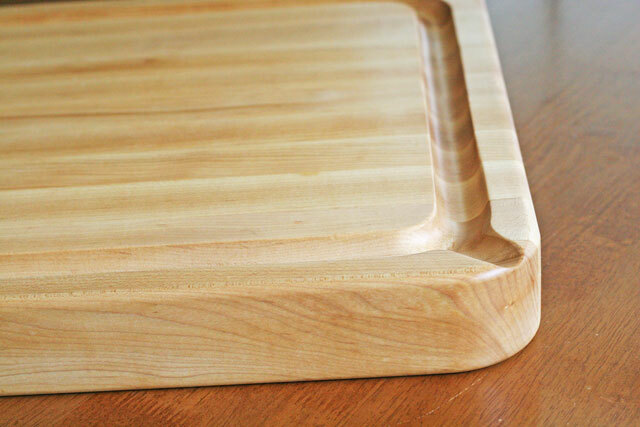 If you don’t plan on utilizing the juices from meats, then a board without the groove would work just fine, but I would strongly suggest utilizing the juices to make quick pan sauces. If you have any questions on choosing the right board for you, let me know! We will be sending you the exact board in this review. This giveaway is for US residents only. Use the Rafflecopter below to enter, the other entries are added chances to win! I will choose a winner on Monday October 21st, and email the winner. We are enjoying daily green smoothies in our house, so I used the board for prepping weeks of smoothie vegetables and fruits very conveniently on my new board. I also made the perfect roast chicken and pan sauce to show the versatility of the board I chose. That post will follow shortly, come back to check it out! I am loving this Walnut R-Board Round, beautiful boards! Love the Maple board with the groove! I like the Maple Board w/ Groove Gift Pack. I like the maple board shown here! The oval with stainless edge! The woods they sell are so rich and beautiful! I would choose the Walnut R-Board Round 1-1/2″ Thick! So elegant! They are all so beautiful, I like the idea of the groove around the edge for juices. Definitely the maple with the groove! Matches my kitchen decor and I love the pour spout. Been dying for a Boos! The pour spout is seriously handy. I’d go with the same one you chose – maple with the groove. Having a nice channel around the edge is much tidier when cutting just about anything. I would definitely choose the Round Cherrywood Reversible Board. I have a couple of nice rectangular ones, but the round one is beautiful and could double for serving!